Interesting issue may arise in a given factual matrix. If charge sheet is filed showing the accused as not arrested but the offence attracts a non-bailable section and magistrate issues summons to accused, can the accused demand bail as a matter of right on the ground that he was not arrested during the investigation? “The Court shall on appearance of an accused in non bailable offence who has neither been arrested by the police/Investigating Agency during investigation nor produced in custody as envisaged in Section 170, Cr.P.C. call upon the accused to move a bail application if the accused does not move it on his own and release him on bail as the circumstance of his having not been arrested during investigation or not being produced in custody is itself sufficient to entitle him to be released on bail. Reason is simple. If a person has been at large and free for several years and has not been even arrested during investigation, to send him to jail by refusing bail suddenly, merely because chargesheet has been filed is against the basic principles governing grant or refusal of bail”. “An officer or a Court releasing any person on bail under sub- section (1) or sub- section (2), shall record in writing his or its reasons or special reasons for so doing”. Clearly, magistrate has to record his reason before enlarging the accused on bail. Recording of reason itself suggests that it can only be based on assessment of available circumstances. If a magistrate is bound to release an accused without any discretion, he obviously cannot assess the circumstances for recording of reasons for grant of bail as he would not have any discretion at all and in such circumstances, a Magistrate would not be able to comply with Section-437(4) CrPC. “On the premise of aforesaid principles, it can safely be said that while considering the application under Section 437 Cr.P.C court cannot be oblivious of firstly the fact that Investigating Officer did not deem it necessary to either arrest the accused during investigation or forward him in custody under Section 170 Cr.P.C while filing the charge sheet under Section 173 Cr.P.C; secondly that the court while taking cognizance did not find the circumstances existing in Section 87 Cr.P.C while procuring the appearance of the accused through warrant of arrest that the accused has either been absconding or is concealing himself and issued summons for him. Ordinarily these circumstances would be favorably disposed in favor of the accused in granting bail unless the magnitude of the offence and punishment therefore is very high and severe and there is likelihood of the accused interfering with witnesses”. It clearly appears from the aforesaid judgment that non-arrest during investigation was to be taken as one of the factors in favour of granting bail and was not meant to be a non-negotiable direction for grant of bail but in subsequent decision (i.e. court on its motion as quoted above), the proposition was enlisted as a general mandate. We have therefore to consider the judgment in the proper perspective. The judgment was passed on a suo moto cognizance taken by the Hon'ble High Court. The facts leading to such suo moto cognizance was that a newspaper reported that some court had declined to accept a chargesheet in the absence of the accused being produced. The issue therefore in the said case before the Hon'ble High Court was only limited to the point as to whether any court can decline to accept a chargesheet on the ground that accused was not produced. A clear decision was rendered therein that courts have no such power. Once this was done, the situation before the Hon'ble High Court exhausted itself and nothing survived for further decision. In the end of the judgment however, directions for criminal courts came to be listed. Doctrine of precedent simply refers us to the point that whatever was not argued before a court or was not in issue, the observations given thereon should stricto sensu not come within the ambit of binding precedent. If we now read both the judgments i.e. Court on its own motion and Sudhir Nathani, the persistent doubt in the legal circle would vanish. The direction for release on bail in cases of not arrested chargehseet was intended to be taken as one of the guiding factors while considering the bail application of an accused and not as a mandate against Section-437(4) and also proviso to Section-437(1) prohibiting the Magistrate from granting bail in cases of Life imprisonment or death. It is at this stage we are required to keep in mind the decision of a constitution bench of Hon'ble Supreme Court in CBI vs Keshub Mahindra 11.05.2011 which says “No decision by any court, this Court not excluded, can be read in a manner as to nullify the express provisions of an Act or the Code...”. Clearly, if we read the judgment as laying down a mandate to release on bail, such reading will go contrary to the provisions of Section-437(4) which requires reasons and also of proviso to Section-437(1) which prohibits a Magistrate from granting bail in cases of Life imprisonment or death. On the other hand, if we read the judgment as laying down one of the guiding factors for grant of bail, the same will be in consonance with the statutory provisions which have used discretionary expression “may” while dealing with bail. “6. Even though there is no legal bar for a Magistrate to consider an application for grant of bail to a person who is arrested for an offence exclusively triable by a court of Sessions yet it would be proper and appropriate that in such a case the Magistrate directs the accused person to approach the Court of Sessions for the purposes of getting the relief of bail. Even in a case where any Magistrate opts to make an adventure of exercising the powers under Section 437 of the Code in respect of a person who is, suspected of the commission of such an offence, arrested and detained in that connection, such Magistrate has to specifically negotiate the existence of reasonable ground for believing that such accused is guilty of an offence punishable with the sentence of death or imprisonment for life. In a case, where the Magistrate has no occasion and in fact does not find, that there were no reasonable grounds to believe that the accused had not committed the offence punishable with death or imprisonment for life, he shall be deemed to be having no jurisdiction to enlarge the accused on bail. Powers of the Magistrate, while dealing with the applications for grant of bail, are regulated by the punishment prescribed for the offence in which the bail is sought. Generally speaking if punishment prescribed is for imprisonment for life and death penalty and the offence is exclusively triable by the Court of Sessions, Magistrate has no jurisdiction to grant bail unless the matter is covered by the provisos attached to Section 437 of the Code. The limitations circumscribing the jurisdiction of the Magistrate are evident and apparent. Assumption of jurisdiction to entertain the application is distinguishable from the exercise of the jurisdiction. The jurisdiction to grant bail has to be exercised on the basis of well settled principles having regard to the circumstances of each case and not in an arbitrary manner. While granting the bail, the court has to keep in mind the nature of accusations, the nature of evidence in support thereof, the severity of the punishment which conviction will entail, the character, behavior, means and standing of the accused, circumstances which are peculiar to the accused, reasonable possibility of securing the presence of the accused at the trial, reasonable apprehension of the witnesses being tampered with, the larger interests of the public or State and similar other considerations. It has also to be kept in mind that for the purposes of granting the bail the Legislature has used the words "reasonable grounds for believing" instead of "the evidence" which means the court dealing with the grant of bail can only satisfy it as to whether there is a genuine case against the accused and that the prosecution will be able to produce prima facie evidence in support of the charge. It is not excepted, at this stage, to have the evidence establishing the guilt of the accused beyond reasonable doubt”. The aforesaid also shows that if we read the judgment in court on its own motion as a mandate to release on bail, the statutory provisions will be infringed. This is not permissible. We normally should refrain from saying that the judgment was per-in curium. The better course would be to read the judgment in consonance with the statutory provisions and to say that the same lays down one of the guiding factors for granting bail in the form that if an accused has not been arrested during the investigation, this circumstance should be treated as a favorable factor in his favor while considering the bail. “It is submitted on behalf of the petitioners that admittedly they were neither arrested nor produced in custody along with charge sheet as envisaged under Section 170 Cr.P.C. Therefore, in view of the direction issued vide said judgment, learned Special Judge ought to have released them on bail. I do not find merit in this contention. No doubt, the circumstances pointed out in the above direction are vital for deciding the application for bail to a person accused of a non-bailable offence, but it is not the only factor for granting bail in case of a non-bailable offence. It is well settled by various pronouncements of Supreme Court that while dealing with a bail application, the court must take into account various factors, namely, nature and gravity of accusation; nature of evidence against the accused; severity of punishment in the event of conviction; danger of accused fleeing from justice; the danger of accused trying to influence the witnesses or thwarting the course of justice and the character and antecedents of the accused etc. Thus, it is clear that while deciding a bail application, the court must take into consideration all important factors and the non-arrest of the accused during investigation and failure of Investigating Officer to produce him in custody while filing the charge sheet cannot be the sole determinant for deciding whether to grant or refuse bail to the petitioner. Of course, it is an important factor which should weigh in the mind of the court. Further, the above direction of the coordinate Bench is in conflict with the mandate of Section 437(4) Cr.P.C. which requires that if the court decides to grant bail to a person in a non-bailable offence, it has to record the reasons in writing for doing so. Those reasons, obviously are required to be based upon the cumulative assessment of the above detailed parameters for grant of bail. Thus, in my view, above referred direction of this Court cannot be taken as a binding precedent. Otherwise also, if the above direction of the Coordinate Bench of this court is to be taken as an absolute rule, it has a potential to subvert the course of justice and make Section 437 CrPC which deals with bail to person accused of non-bailable offence redundant. In such a situation, if the Investigating Officer decides to show favour to a person accused of non-bailable offence, he would neither arrest the accused during investigation nor he would produce him in custody as envisaged under Section 170 CrPC. Does it means that in such a situation, the court would be helpless to exercise his judicial discretion conferred upon him under Section 437 CrPC and subjudicate his judicial powers to the whims and fancies of the Investigating Officer? Answer to this question is in the negative. The aforesaid directions, if treated as an absolute rule, has a potential to breed corruption. Therefore, I do not find any merit in the submission and I am of the view that the bail applications of the petitioners are to be dealt with on merits in the background of the facts and circumstances of the case”. “The interpretation sought to be given by the petitioners is misconceived and based upon incorrect reading...........On reading of the above, it is obvious that Section 88 Cr.P.C. empowers the court to seek bond for appearance from any person present in the court in exercise of its judicial discretion. The Section also provides that aforesaid power is not unrestricted and it can be exercised only against such persons for whose appearance or arrest the court is empowered to issue summons or warrants. The words used in the Section are "may require such person to execute a bond" and any person present in the court. The user of word "may" signifies that Section 88 Cr.P.C. is not mandatory and it is a matter of judicial discretion of the court. The word "any person" signifies that the power of the court defined under Section 88 Cr.P.C. is not accused specific only, but it can be exercised against other category of persons such as the witness whose presence the court may deem necessary for the purpose of inquiry or trial. Careful reading of Section 88 Cr.P.C. makes it evident that it is a general provision defining the power of the court, but it does not provide how and in what manner this discretionary power is to be exercised. Petitioners are accused of having committed non-bailable offences. Therefore, their case for bail falls within Section 437 of the Code of Criminal Procedure which is the specific provision dealing with grant of bail to an accused in cases of non-bailable offences. Thus, on conjoint reading of Section 88 and 437 Cr.P.C., it is obvious that Section 88 Cr.P.C. is not an independent Section and it is subject to Section 437 Cr.P.C. Therefore, I do not find merit in the contention that order of learned Special Judge refusing bail to the petitioners is illegal being violation of Section 88 Cr.P.C”. “In the view we have taken, it may not be necessary to refer and discuss other issues canvassed by the learned counsel for the parties and the case laws relied on in support of their respective contentions. We clarify that we have not expressed any opinion regarding the other legal issues canvassed by learned counsel for the parties”. It can therefore be clearly said that neither an accused can be released under Section-88 CrPC nor he can claim bail as a matter of right on the ground that he was not arrested during the investigation. In the aforesaid backdrop, I am of the view that the other judgment of Hon'ble High Court of Delhi in Tejinder Singh vs CBI dated 05.09.2014 cannot be of any help at all as it has only cited the judgment rendered in court on its own motion (supra) and granted bail therein considering the entire factual circumstances including parity with co-accused who were granted bail by the Special Judge. Additionally, we may consider that if non arrest during the investigation is treated as a mandate to release on bail whenever the accused appears after summoning, there cannot obviously be any question of bail denial in complaint cases. Reason is simple. When a case even for an offence punishable with death sentence is instituted upon a complaint, the Magistrate is duty bound to complete the formality of Section-200 to 203 of CrPC. During that period the accused is not arrested. Even if u/s-202 an investigation is conducted by the police, the accused is not arrested. Now, if the Magistrate issues summons and accused appears thereon, the Magistrate has to release the accused on mandatory bail if the above said judgment is to be followed blindly without caring for the circumstances in which the judgment was so rendered. Meaning thereby that in a complaint case magistrate cannot exercise any discretion u/s-437 CrPC as he cannot refuse bail. In such manner, Section-437 CrPC shall be rendered nugatory in cases instituted on complaint. In other words, we will have to say that Section-437 does not apply to complaint cases. But this is not the position. Parliament has not made any distinction between complaint case and police case so far the concept of bail is concerned and has not given any indication of difference in Section-437. Further, Section-437 clearly restricts a Magistrate from releasing the accused on bail for offences punishable with life imprisonment or death. If the above said judgment is followed blindly, the Magistrate has to release the accused on bail even where the offence is punishable with life imprisonment or death. This is clearly contrary to the legislative scheme. Some fertile mind may argue that if accused person is not released on mandatory bail, the same will cause serious prejudice and result in miscarriage of justice as such accused will not have any recourse available. I am of the view that this is not a sound logic. 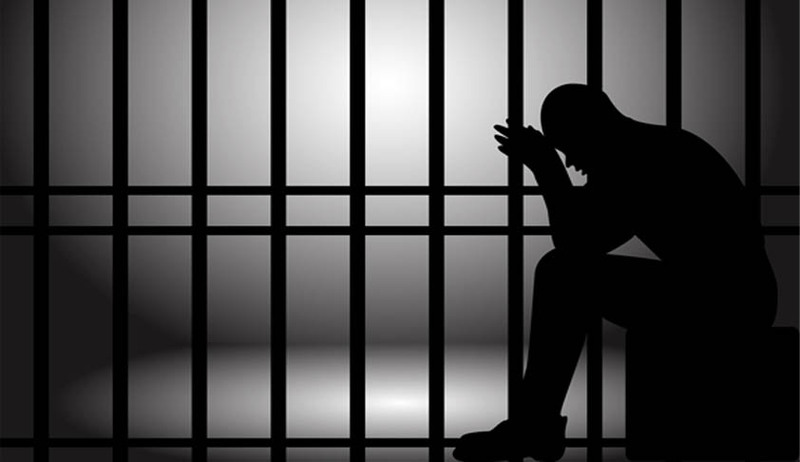 Even if an accused receives summons from a Magisterial Court, he may consult a lawyer and may approach the appropriate forum under Section-438 or 439 CrPC having unlimited powers for bail. If accused knows that there is a summon, he will be justified in saying that he may be sent to jail when he appears before the magistrate. This certainly gives rise to a reasonable apprehension. Section 438 does not make any distinction between apprehension of arrest by police or at the instance of magistrate. Therefore he can file anticipatory bail application. This has been clarified in Bharat Chaudhary vs State of Bihar AIR 2003 SC 4662. Accused can also directly surrender before Sessions Court under Section-439 CrPC and may asks for bail. There is no legal bar in doing so. This concept has been expounded by the Hon'ble Supreme Court in Sundeep Kumar Bafna vs State of Maharashtra AIR 2014 SC 1745. Therefore, it can be said that accused is not rendered remediless even if he is not treated as entitled as of right for bail in cases of non-arrest during investigation. In view of the above discussion, it has to be accepted that even if an accused was not arrested during investigation, he cannot claim bail as a matter of right and the bail application has to be dealt with on settled legal principles wherein non-arrest during investigation may be treated as one of the favoring factors.